Eli Libson, designer of mini golf hole #4, Squirrel Scrambler, will be using his 17 years of experience in video game character design to assist people in creating their own Chimera – an ancient Greek creature. 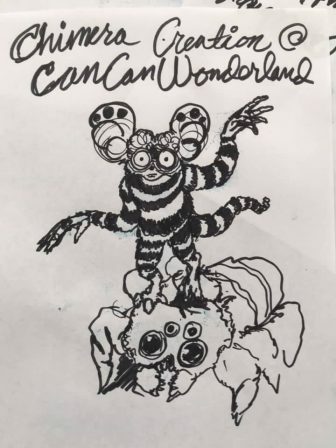 Participants will be given images of partially completed creatures to add legs, eyes, feathers or whatever suits their fancy to create their own mythical beast. Drop in anytime between 11am-3pm. Great for all ages!